Fiede is a joint electronic identity system for students and educators to access web services for their daily work. Its ability to allow various educative applications to register and set up Single Sign-On to them, with different protocols, makes it much simpler to use for professionals. Also, strong security concern of not disclosing credentials, even though the user is using so many applications, makes it reliable for Fiede registrants. In Fiede, the user stays logged in during the entire session of using different service applications. Many times JIRA has user accounts of the educational organization, through which user may try to log in. 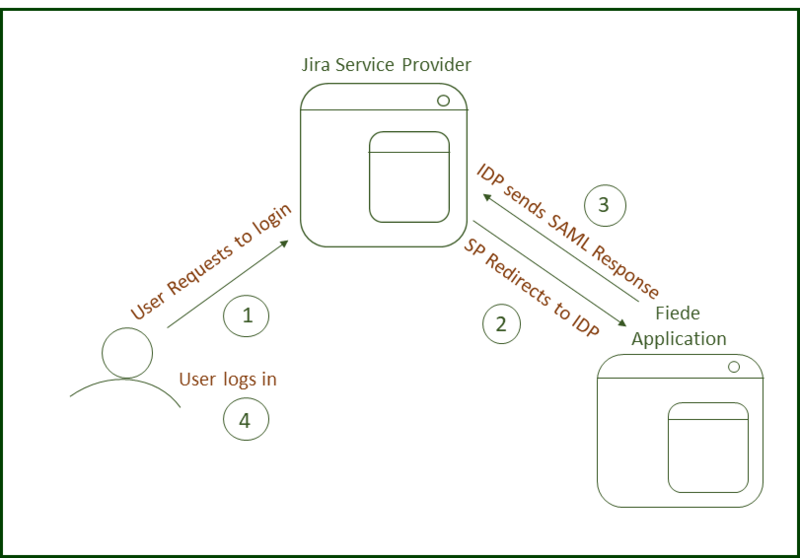 JIRA has multiple features which allow Single Sign-On, but it lags an integration which allows JIRA and Fiede applications to sync with each other. miniOrange has created an integration which can help to offer seamless service to JIRA users. miniOrange JIRA SAML plugin provides the necessary integration which allows Single Sign-On to set up and JIRA and Fiede application accounts can easily sync. Locate miniOrange SAML Single Sign-On for JIRA via search. After switching from test instance to production instance, obtain plugin configuration from the download plugin settings tab given. Click on Service Provider Info button after installing the add-on. Download guide for the IDP from the dropdown given in Configure Identity Provider. Also, import IDP metadata and note the information regarding X.509 certificate, IDP entity id, Single Sign-On service URL and so on and keep it handy. Using IdP information user could add details in Configure IDP. Provide the required settings (i.e. IDP Entity ID, IDP Single Sign-On Service URL, X.509 certificate) in the plugin and save it OR upload metadata given by the IdP by providing URL or XML file. User Profile helps you to get user attributes from your IdP and map them to JIRA user attributes. Please refer to attributes received in successful Test configuration and use them for User Profile. In User Profile Tab details like username and NameID as shown in step 5 of Test Successful are mapped to Username and Email respectively. Also Full Name or Separate Name( like First and Last Name) attributes are given as options according to JIRA user attributes. JIRA uses a concept of Groups, designed to give the site owner the ability to control what groups can and cannot do in the site. In Configure user group mapping enter the Attribute Name given against group value of Test Configuration for the user. Clicking Create Users checkbox will allow user creation for only those groups whose group is mapped to JIRA groups in User Groups tab. If unchecked, users whose groups are not mapped to JIRA groups, they will not be allowed to log-in to JIRA. Clicking Restrict user creation checkbox will disable group mapping for existing users. New users will be created with the Default Group or the group assigned to them in mapping. User Groups helps you to assign specific groups to users of a JIRA group from your IdP. In this tab you can enable SSO for JIRA. How users and administrators can log-in using SSO is defined in this tab. Autoredirect and secure login options can be set up. For sending signed or/and encrypted SAML requests, certificates can be set in IDP. These can help to identify the user. Custom templates can be set up. Error message template and custom logout template.